Adding Comments PDT allows you to quickly and easily comment and uncomment code by selecting a line or a block of text and tagging it as a comment. 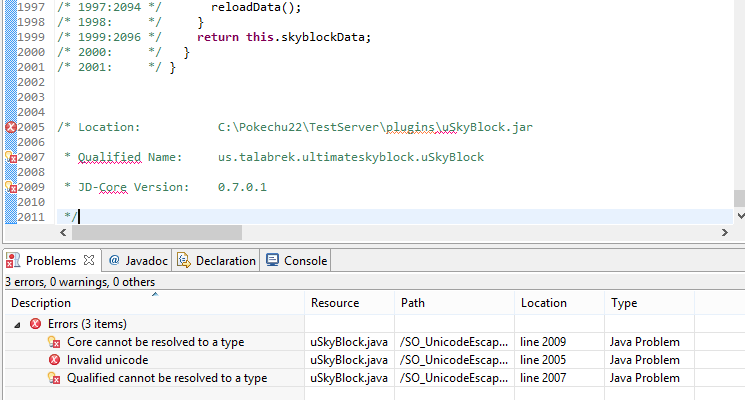 Comments can be added to single lines of code ( Ctrl + / ) or blocks of code ( Ctrl + Shift + / ).... In short, these comments provide context for the code. With comments, you can easily leave a note or temporarily remove part of an XML code. Even though XML is designed to be "self-describing data," on occasion you may need to leave an XML comment. Copy the HTML code displayed on the page that loads in your browser. Left-click at the beginning of the code, hold down your left mouse button and drag to the end of the code. Right-click on the selected text and click “Copy” on the context menu to copy the code to your system clipboard. Visual Block Mode. First, move the cursor to the first char of the first line in block code you want to comment, then type: CTRL + V then vim will go into VISUAL BLOCK mode.